The Drug Development, Pharmacokinetics and Imaging module is a one-week module of the MSc in Experimental and Translational Therapeutics programme. 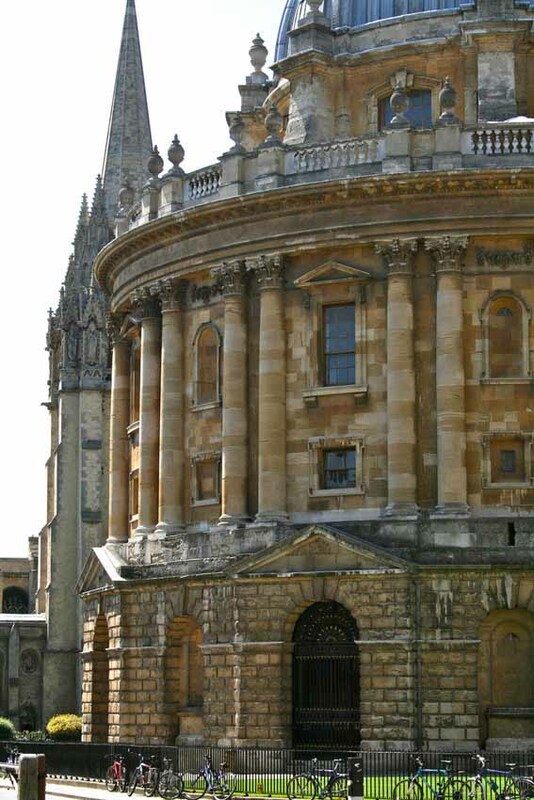 Offered by the Department of Oncology and the Department for Continuing Education, the module will be led by Dr Paul Brennan, and will feature face-to-face lectures and tutorials from some of Oxford's leading clinicians and scientists. The module can also be taken as a stand-alone short course. It includes group work, discussions, guest lectures, and interaction and feedback with tutors and lecturers. For more information about what the course includes and how to apply please see below. Please send me an email about future Drug Development, Pharmacokinetics and Imaging courses. This five-day course touches on the basic principles of designing and identifying new drug molecules improving their properties, and monitoring their effect in cellular model systems and in vivo. The course comprises principles of medicinal chemistry, structural biology, structure-based design, in vitro and cell based screening technology, as well as principles of pharmacokinetics and optimisation of drug in vivo properties. The course also covers aspects of target validation and identification. Finally it explores several state-of-art imaging technologies, aiming to assess the drug distribution and activity as well as to gain a broader view of disease pathology. We anticipate that this course will be held at the Department for Continuing Education premises in Oxford - either at Rewley House, Wellington Square, or at our Ewert House location in Summertown. The location will be confirmed later in the academic year. Professor Paul Brennan received his PhD in organic chemistry from the University of California, Berkeley under the mentorship of Paul Bartlett working on synthetic methodology for combinatorial chemistry and synthesizing inhibitors for new anti-bacterial targets. Following three years of post-doctoral research with Steve Ley in Cambridge University on the total synthesis of rapamycin, Paul returned to California to take a position at Amgen. His research was focused on designing and synthesizing kinase inhibitors for oncology. After two years at Amgen, Paul accepted a position as medicinal chemistry design lead at Pfizer in Sandwich, UK. Over the next six years Paul designed and synthesized compounds for most major drug classes: kinases, GPCR’s, CNS-targets, ion-channels and metabolic enzymes. In 2011 Paul joined the Structural Genomics Consortium as a principal investigator to discover chemical probes for epigenetic proteins. He is currently an Associate Professor of Medicinal Chemistry at the SGC and head of chemistry of the Alzheimer’s Research UK Oxford Drug Discovery Institute at the University of Oxford. The module will be led by Prof Paul Brennan, and will feature talks from guest lecturers leading these areas of research, and there will be significant time programmed to discuss the scientific and sometimes ethical issues raised by this area of medical research. The module includes practical sessions, group work, discussions, guest lectures, and interaction and feedback with tutors and lecturers. Application deadline: two weeks before the commencement of the course. This course requires you to complete the online application form (please press the 'Apply' button in the top right pane) and submit a copy of your CV as an attachment as part of your application. The course will appeal to health professionals from a wide range of backgrounds, including qualified doctors, especially specialist registrars in clinical pharmacology or in training for other medical sub-specialities; clinical research fellows; pharmacists; nurses; graduates working in the pharmaceutical industry or in academic clinical trials.